Seattle startup Levl is developing its device to help people know better whether their diet or workout plans are working. One of the first local companies to unveil a new product at CES: 2016 is a fitness tech startup, befitting for health-conscious Seattle. Levl is developing a device for consumers that measures how much fat someone is burning and is designed to let users know how well their current diet or workout plan is working. The device works by measuring the level of acetone in someone’s breath. 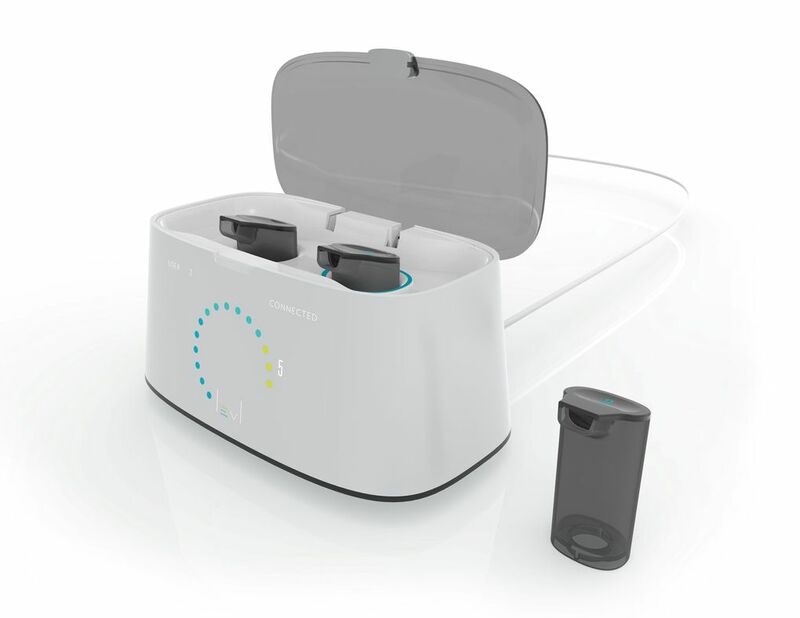 Users breathe into a “breath pod,” which looks like a small film canister, then they stick the pod into a square tabletop unit that could easily fit on a kitchen or bathroom counter. The device, called Levl, thinks for a few seconds then displays a number that corresponds to the user’s fat-burning rate. Component post 9875493 could not be found. The idea is to indicate whether users’ exercise or diet plan is working by telling them how many fat calories their body is burning. The LEVL machine, as shown in this prototype, tests the acetone level in its users’ breath to determine how much fat they are burning every day. The idea came to founder Brad Root nearly six years ago when he was trying to figure out the best exercise plan for himself. Root set up shop in downtown Seattle in 2012. The company, which has 10 full-time employees, is funded by GM Nameplate, but operations are kept separate. Root said it works best if people test their levels once or twice a day, usually first thing in the morning. After a couple days, the Levl app has a good idea what “normal” levels are for the user, then it’s easy to see how the levels change with different exercise plans. The Levl app gives users a “LEVL score,” which translates to how many kilocalories or pounds of fat a user is burning each day. “We want it to be the gold standard by which diet and exercise is measured,” Root said. The entire system depends on a tiny sensor in the tabletop unit == a component no bigger than a grain of sand. The sensor is designed to interact with acetone, then the device converts the amount of acetone into a score. Similar results can be achieved with large device called a mass spectrometer, but Levl wanted to make a device that was small, and affordable for the average person. The company has not decided on a price, but Root said he believes it will be less than $500. People should be able to buy units online in summer 2016, and pre-orders begin soon.